Richard “Chico” Perales, on summer break from his studies at U Texas, El Paso, wrote to us from Toolik Field Station a week or so ago. 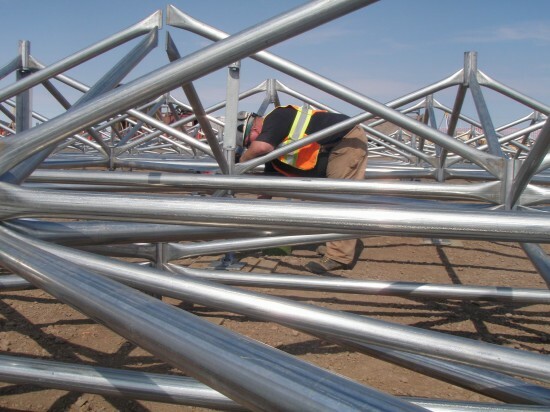 He’s overseeing the construction of a new dining facility by Johnson River Enterprises, ensuring that the builders and the scientists can each get their work done during this busy research season. 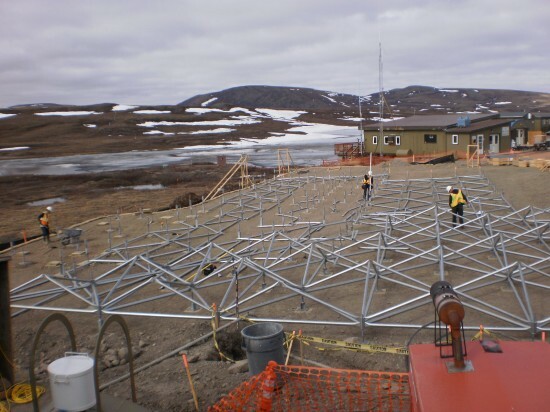 After October, when it is commissioned and turned over to the Institute of Arctic Biology (which operates the station), the new building will be able to operate year-round and serve 150 people. 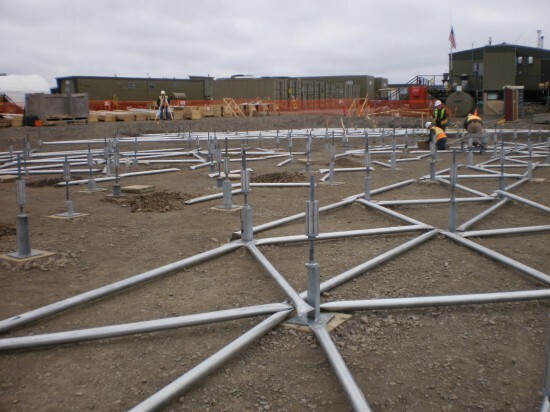 Meanwhile, the economical, custom-designed, easily installed, maintenance-free, fully adjustable, multipoint foundation made of 80% recycled materials had everyone a bit geeked-up as it was being put together. From Chico: “When you have people who have been around for awhile and seen everything—such as Jeff Scaniello, Jason Neely, Tracy Dahl, Solar Joe [Yarkin], and a slew of scientists—and you witness how positively intrigued they are by the foundation, you know it has to be something special. It can be hypnotizing to look at.